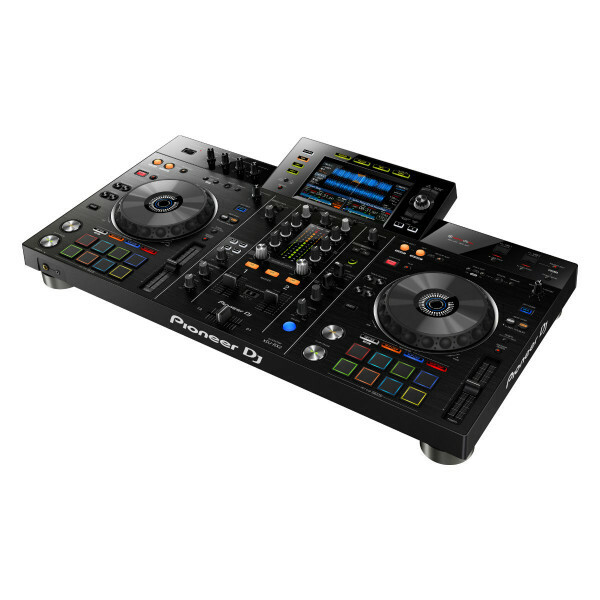 The new Pioneer XDJ-RX2 now features an improved 2 channel mixer with effects, 8 backlit performance pads on each deck, new navigation controls, larger touch screen and improved jog wheels. The Pioneer XDJ-RX2 is the latest generation of XDJ all-in-one DJ systems. Featuring touchscreen functionality and the same browsing system as the club standard NXS2 range – as well as features lifted from Pioneer’s flagship range – the XDJ-RX2 offers both professional club DJs and mobile jocks everything needed to play from one device. With a two-channel mixer that has inherited effects from the DJM-900NXS2, including colour FX, as well as improved jog wheels for the two decks located either side of the central mixer section – the RX2 is instantly familiar. Conveying the feel of the club is taken to new levels with pitch faders and a control layout which mirrors the CDJ-2000NXS2 players, while the touchscreen offers the same effortless library navigation that professionals use in booths and on festival stages the world over. Pioneer have retained one of the most popular features with the XDJ-RX2 – the record functionality. Thanks to dual USB ports, you can play your library from one USB drive while recording to another, you can even add track markers as you lay down your mix. When compared to the XDJ-RX, there’s an additional row of hot cues per deck, and the pads have four modes. Whether you’re using the pads for triggering hot cues, beat loops, beat jumps or slip loops - the new RGB pads convey your current control options perfectly. In addition to the new pads, the colour FX have also had an upgrade - the XDJ-RX2 has 4 sound colour FX - Dub Echo, Sweep, Filter and Noise. All of these can be controlled using the large knob above each channel allowing you to add an amazing new dimension to your tracks. There are 2 microphone inputs with their own level controls and shared Hi and Low EQ. Both can be switched on or off together or set to ‘talkover’ to dip the music level during use. Connectivity wise, the Pioneer XDJ-RX2 has inputs for 2 turntable and 3 line level sources, master output on XLRs and booth output. The two microphone inputs are dual XLR / TRS sockets. 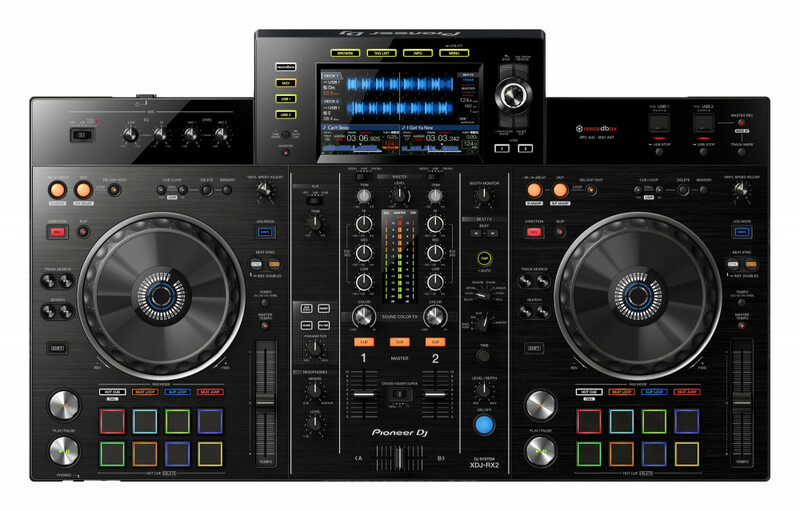 Seen the Pioneer XDJ-RX2 All in one USB player Cheaper?